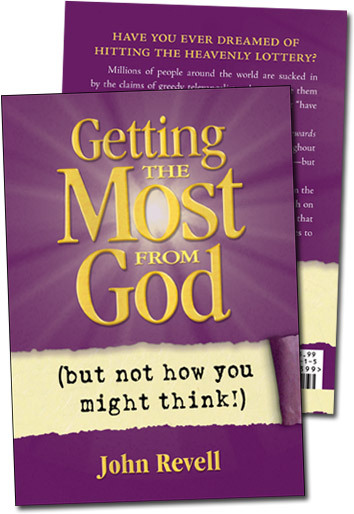 Millions of people around the world are sucked in by the claims of greedy evangelists who promise them perfect health and incredible wealth if they will just “have enough faith.” But those claims are lies. At the same time, the Bible is clear that God rewards those who earnestly seek him (Heb. 11:6 NIV). Throughout the Bible, we find that God offers incredible blessings—but they are conditional. extended family, houses, and land. it just might not be the way you would expect. John Revell is a minister, editor, and author from Nashville, Tennessee. Since 1996, he has served as Associate Editor and Editor of SBC LIFE, the official journal of the Southern Baptist Convention’s Executive Committee. Prior to that, he served in pastoral ministry for ten years in Long Island, New York, and in South Florida. His articles have been printed, reprinted, and cited in numerous publications, and he has been quoted in such publications as Newsweek, The Los Angeles Times, and The Boston Globe. He is co-author with Ken Connor of Sinful Silence: When Christians Neglect Their Civic Duty, also published by Ginosko Publishing.